A look at the basics and subtypes of code and test coverage, and a tutorial on how to measure it. What Are the Subtypes of Test Coverage? Basically, test coverage can be measured for all levels of tests, like unit-, integration-, acceptance tests, etc. For example, unit test coverage is a subtype of test coverage, it shows which lines of the source code were (or were not) being executed by the unit tests. 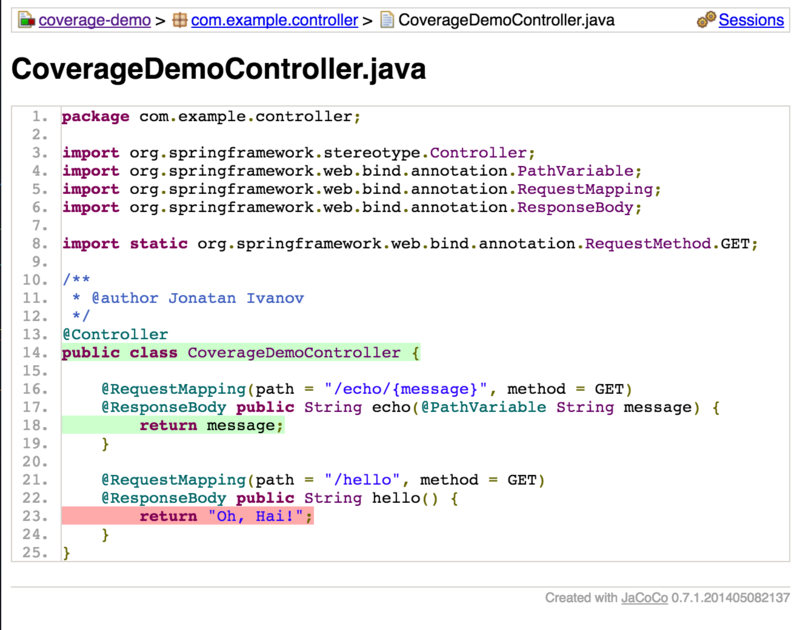 How Do You Measure Code Coverage? Offline instrumentation is a technique to modify the source code or the byte code at compile time in order to track the execution of the code at runtime. In practice, this means that the code coverage tool injects data collector calls into your source or byte code to record if a line was executed or not. Clover uses source code instrumentation but I only show you the decompiled code because it is easier to get the byte code. This instrumentation process happens on-the-fly during class loading by using a Java Agent or a special Class Loader so the source/byte code remains untouched. If our coverage tool instruments the code offline, we will end up with two packages: one for the test environments (in order to be able to measure test coverage) and one for non-testing environments (e.g. : production). Having different packages for the same application is something that we really want to avoid. If our coverage tool instruments the code on-the-fly, we can deploy the same package to each of our environments. The only difference will be the configuration for the different environments, e.g. : an additional JVM option where we configure the coverage tool which seems much more convenient. And you should see three reports in the build/reports/jacoco directory. Or in the resources directory of this repo. Published at DZone with permission of Jonatan Ivanov . See the original article here.